Our club has spawned something of a sub-hobby: collecting Harry Charon-built models. Several of us have been quietly buying built models from Harry for many years. One of Harry's model car talents is taking kits that cannot be built stock and building them stock. 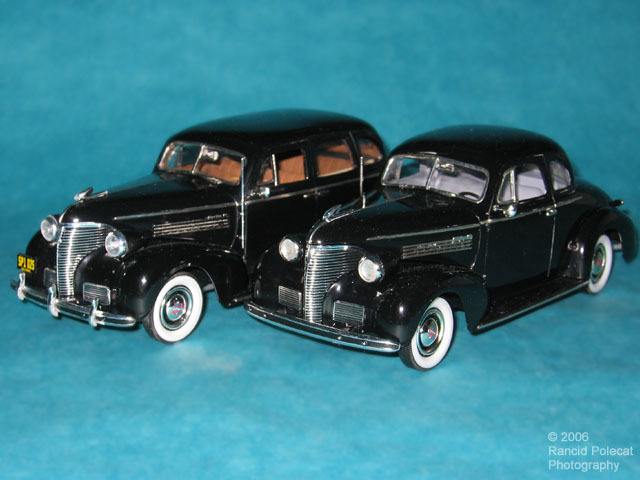 This month we present two 1939 Chevrolet stock conversions that Harry built several years apart.